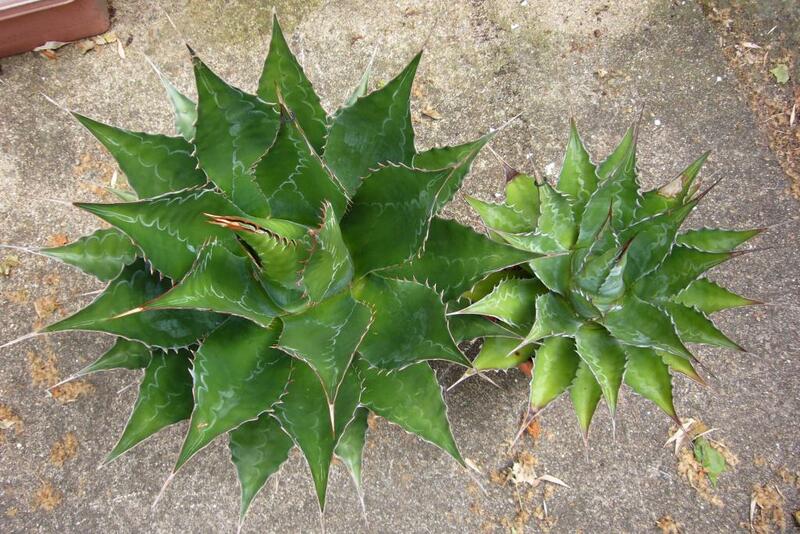 I have mentioned this agave several times over the years and thought it was time to give it a post all to itself. 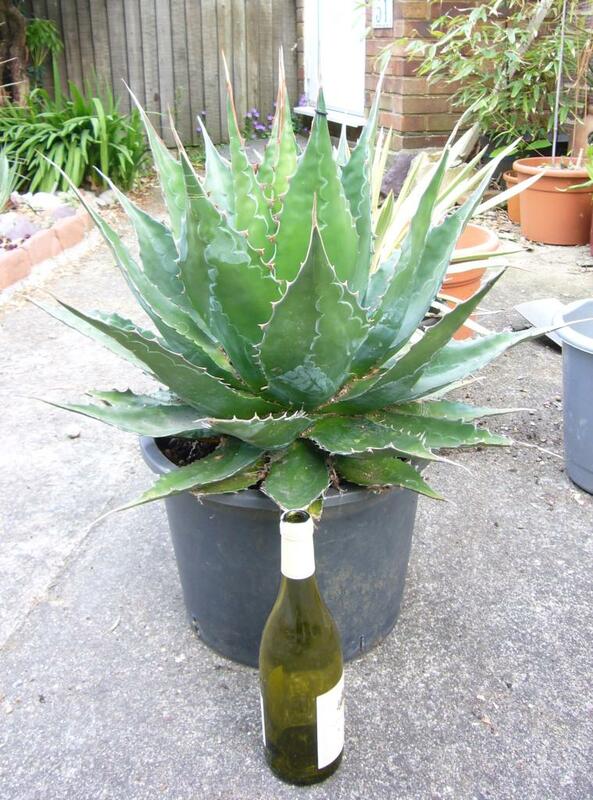 It is a lovely variety with a good structural form and viscous terminal spines. The good ones have a red tinge to the edge of the leaves and a row of red/brown teeth. The bigger they get (and they do get big) the better their colouring should get. 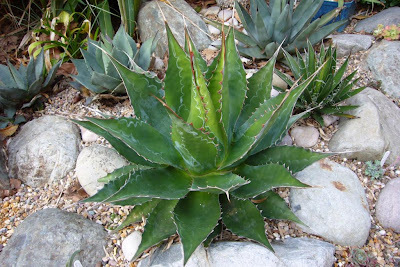 One of the reasons it is such a good plant is that it comes from higher altitude around the edge of forests in Mexico and this means not only can it cope with cold, but likes it slightly wetter as well. in fact it seems to do most of its growing at the start and end of the summer when the temperatures are lower and rainfall slightly higher. 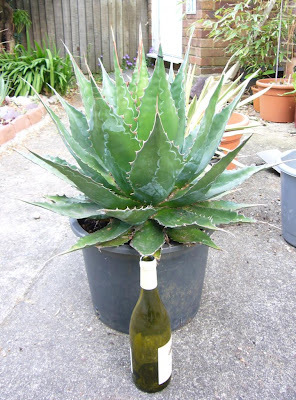 This makes it perfect for growing in the UK and one of the fastest agaves for growth here. After a couple of bad winters, it was given a bit of a hard time as many people lost their plants. I think this was simply because people had planted out very young plants. Some agaves are born tough, agave montana is not one of those. It needs time to settle into growth and to build up its cold hardiness. Once plants get to about 50cm they seem to cope fine with minimal protection from snow. You would never know they were identical 3 years ago. Whatever the reason for this extra growth, when we finally get our new garden all my agave montanas are going in the ground. I really, really need to try this one here in Abq, especially in landscapes that get more water than others. Great information on it's success in the UK. There are far more qualified people than me to comment, but I am guessing for you where your sun is so much stronger and your summers so much hotter, this one would probably do best with some shade and additional water. No doubt it will do great for you. Sorry to hear that, it is always sad to loose favourite plants. Those long periods of below freezing definitely take their toll. 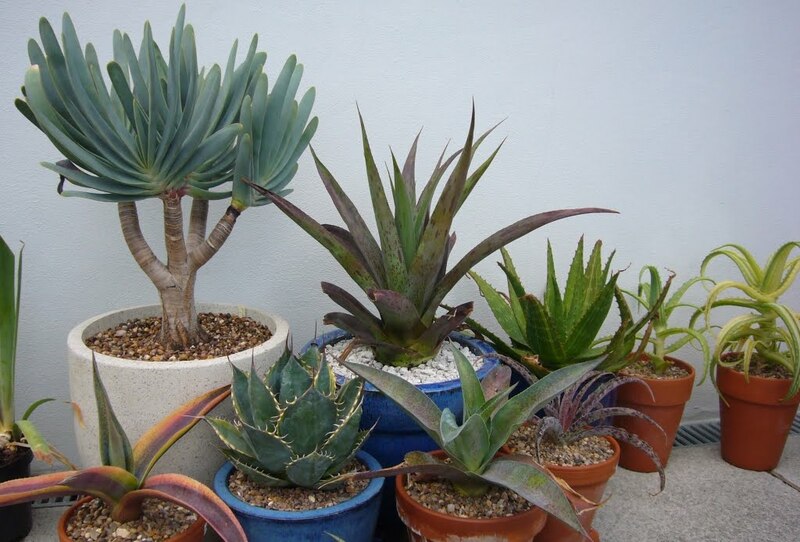 A beautiful plant, and you are growing it very well, because the in-ground one looks just like the ones here! Thank you. That is good to know, looking forward to the colour developing as it matures.